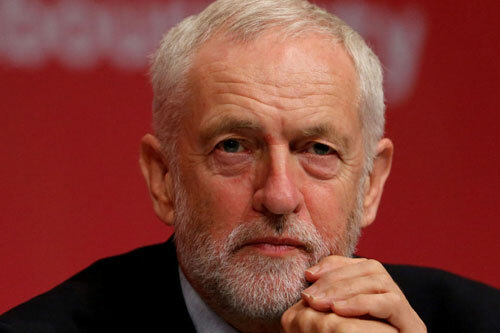 The importance of Britain being in a Customs Union with the EU is highlighted by the recent exchange of letters between Jeremy Corbyn and Theresa May. Jeremy Corbyn has focused on blocking a ‘No Deal’ outcome, which would be extremely negative for jobs and living standards. He has also set out his support for being in a customs union with the EU. Theresa May continues to threaten No Deal and rejects being in a permanent customs union, it being one of her key red lines. Although there is much else in the exchange of letters which is also important to note, the principal issue examined here will be the one that Jeremy Corbyn raises, which is the vital necessity of being in a Customs Union with the EU. The full text of Corbyn’s letter is here. May’s letter rejects this, and falsely claims that the Political Declaration continues the same benefits as the customs union. This is blatantly untrue, as the Political Declaration says only that those same benefits are desired, without any mechanism to achieve that. May’s letter is here. There is no useful purpose, either for serious analysis or promoting the interests of the working class, to suggest that the European Union is anything other than a capitalist club. It is not, as Will Hutton and other propagandists claim a repository of Enlightenment values. First these so called ‘Enlightenment values’ were used to create the greatest colonial Empires the world has ever seen. In the famous words of Gandhi when asked what he thought of Western civilization he replied ‘it would be a good idea’. Today it remains a sickeningly bad joke in light of the EU’s treatment of refugees fleeing across the Mediterranean, its treatment of Greece, the imposition of austerity across the Eurozone and much more besides. The false claims as to the EU Enlightenment project also acts increasingly as a cover for an intensification of vile Islamophobia, antisemitism and other forms of racism within Europe. The purpose of the EU is to enhance and develop the interests of capital, most powerfully German capital, across the continent of Europe. But this development is multi-faceted in the way that the development of capitalism is in general. So, a new factory will usually entail increased labour exploitation and environmental degradation. Yet socialists do not stand against the construction of the new factory and do welcome the jobs, but instead argue for the best possible pay and conditions for all the workers in it, for environmental protections, other safeguards, and so on. Where and when it is possible, socialists are in favour of the factory passing into the hands of the workers. All goods and services operate in a market, irrespective of whether the producers or consumers understand that as such. For the most advanced manufactured goods in particular that market is increasingly internationalised, even globalised. The internationalisation occurs at three different levels. · First, there is the production of inputs for final production, which is everything from basic raw materials to the most sophisticated machinery, equipment or software. · Secondly, there is the production of finished goods themselves which can take place at a number of different locations internationally. · Thirdly, there is the market for the goods themselves, where the size of the market is decisive for the efficiency of the production and the Investment that is required. The production of many services is less easily internationalised for many reasons, including language barriers and lack of labour mobility, although some services such as finance, travel etc are highly internationalised and increasingly legal and accounting services are also heading in the same direction. Many others, such as entertainment services, some aspects of design and publishing are developing in the same way. Because the British economy already participates in the Customs Union with the EU and the Single Market, refusal to have any Customs Union with the EU amounts to a protectionist measure, a reduction in this economy’s openness to international trade. The Brexiteer fantasy that barriers to trade with the EU economy can be compensated by trade deals with other countries is mathematically unlikely as the EU constitutes approximately half all trade in goods. But it also ignores that fact that over 60 trade deals with third countries will in fact be ripped up by no longer being a Member of the EU. Trade deals with those countries, most especially the US, but also Japan, South Korea and other countries will have to be renegotiated from a relatively weaker position. The increasingly internationalised production of manufactured goods has also become a hot topic in the United States because of Trump’s trade wars and protectionism. But Trump’s protectionism in favour of the autos sector has foundered precisely because so much of the content of US-marque cars that are finished in the US is from Canada, Mexico and other countries. However, these ‘American-made’ cars are actually globally-produced. The 2017 Ford Focus, for example, is built in the United States, but only gets 40% of its parts from the U.S. and Canada, according to Federal data. At the other extreme, only 5% of the parts for 2017 BMW 7 Series Sedan were made in the US. The rest was made in Germany. For some time, the leading automakers in the ‘motor city’ of Detroit have been Japanese, outstripping the production of US marques. At most, Trump’s protectionist measures (which have been underpinned by huge tax breaks for companies and the rich) have only deferred the further internationalisation of production. Yet the IMF has noted that they could knock $430 billion off global output. ﻿Of course, if there was one big set of factories in the US producing cars and another set in Canada and Mexico, then his protectionism might possibly have the impact he desires. Instead, his policy simply interrupts the efficient socialisation of production, in favour of a failed attempt to re-organise it on a national basis. 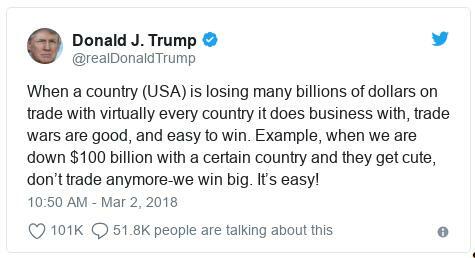 By far the most important effect of his policy is to raise the cost of production in the US, which raises prices to US consumers more and therefore increases the competitive threat to US jobs in cars and associated industries. A key impediment to the development of these fundamental trends is the existence of tariff and non-tariff barriers (which include product standards, local content rules, and other factors which are all subject to inspection regimes). A customs union operates to remove the tariff barriers between two different economies. Unfortunately, there are romantic notions in left circles in Britain and Europe that would wish away the concrete issues raised by the existence of multinational or even global supply chains. It is unrealistic to believe workers’ control or ‘Lucas plan’ ideas in relation to current, complex manufacturing supply chains that dominate aerospace, cars, pharmaceuticals and other sectors can ignore these realities. As described in a previous article, aerospace and other advanced producers rely on a vast flow of inputs as part of the production process. It would require a vast, entirely unfeasible level of investment to recreate those on national territory, and for a national market that is simply too small to support even the current level of output. It is clear that simply to attempt to retain key producers after Brexit, a large increase in public expenditure on subsidies would be required – as this government has already done with Nissan. Even though Ministers attempted to keep the deal with Nissan secret, it was later revealed that is was a subsidy of £80 million. Crucially, with the threat of No Deal still not removed, that subsidy was not enough to get Nissan to meet its commitment to producing new models at its Sunderland plant. As Jeremy Corbyn put it replying to Theresa May in Parliament on 12 February: ‘The Prime Minister has just told members of this House to hold their nerve. Tell that to Nissan workers in Sunderland and the thousands more worried about their job security”. In the event of No Deal, which means having no Customs Union with the EU, the scale of the compensation needed to offset new tariffs on cars is equivalent to the carmakers’ wage bill. This is untenable over the medium-term as it would be cheaper for government to pay the workers directly. Outside a Custom’s Union with the EU similar these problems would be multiplied in numerous industries. In general, without the reactionary political interventions from the likes of Trump and the Hard Brexiteers, the underlying economic trends are for greater trans-continental and even global production. A leading Italian transport services provider last year announced the first ever regular roll-on, roll-off route between North America and the Mediterranean. It will be used primarily to connect Turkish to European car production, and then connect the latter to Canada, the US and Mexico. These are the fundamental economic trends the protectionists like Trump and the Hard Brexiteers are attempting to fight. Marxism explains these fundamental economic trends. Despite being frequently asserted, it is not the case that Marx begins his analysis of capitalism with analysing only capitalist production. This is for the very good reason that production is not unique to capitalism. It exists in all more primitive societies, feudalism and slavery, and will of course exist under socialism. Production is a given in every form of society. Marx actually begins ‘Capital’ with what is unique to capitalism, the transformation of commodities into their universal equivalent of money, thus enabling ‘generalised commodity production’. This is decisive in this context if it is recalled that Marx demonstrated that commodities first appear through trade, through exchange. ‘As a general rule, articles of utility become commodities, only because they are products of the labour of private individuals or groups of individuals who carry on their work independently of each other. The sum total of the labour of all these private individuals forms the aggregate labour of society. Since the producers do not come into social contact with each other until they exchange their products, the specific social character of each producer’s labour does not show itself except in the act of exchange. In other words, the labour of the individual asserts itself as a part of the labour of society, only by means of the relations which the act of exchange establishes directly between the products, and indirectly, through them, between the producers. To the latter, therefore, the relations connecting the labour of one individual with that of the rest appear, not as direct social relations between individuals at work, but as what they really are, material relations between persons and social relations between things. It is only by being exchanged that the products of labour acquire, as values, one uniform social status, distinct from their varied forms of existence as objects of utility’. Exchange, of which international trade is one large scale form, is central to the production of commodities. Goods only become commodities through that exchange. Not only is it impossible in the modern era to maintain efficient production on a national basis in an economy of Britain’s scale, it is also impossible to produce efficiently without international exchange. Incidentally, it will be even less possible in an advanced socialist society. Socialists, and a government pursuing progressive socialist policies, have no interest in the political structures of the EU – which are designed to be as little democratic as possible. But they, and the working class of this country, do have an interest in ensuring access to the markets of the EU. That can be gained either through remaining in the EU, for purely economic and not political reasons, or via a custom’s union and ‘close alignment with the single market’. As Jeremy Corbyn put it in Parliament on 12 February: ‘In order to stop the UK falling into the backstop you need a permanent customs union and a strong single market deal. That is key to maintaining an open border on the island of Ireland. That is key to protecting jobs, industry and living standards in this country. ‘The Prime Minister says there is no need to negotiate a customs union as her deal provides for the benefits of being in one. I’m afraid… that is simply not the case. This is why May’s threat of No Deal and refusing a customs union is a deeply damaging policy, and why Jeremy Corbyn is entirely right to insist on a customs union with the EU.